As much as I talk about how my client’s ‘feel’ studying for the Clinical Licensing exam has pushed me to reexamine emotions and how they develop within us. As I begin to understand how emotions develop throughout the life cycle it’s important to keep the leading theories regarding emotions in mind. The theories complement each other in which they state that emotions stem from our behaviors and/or the cues we get from our context or environment. A person’s ability to understand, regulate and utilize emotions can be measured by Emotional Intelligence or EQ. 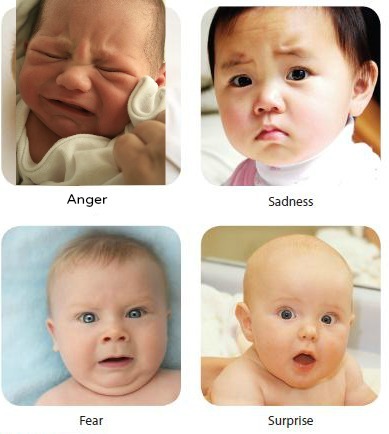 Emotions are seen from birth and continue to develop throughout our lives. Smiles can be seen at birth but should not be confused for social (real) smiles. Reflexive smiles are based on internal stimuli, like gas. Real smiles can occur as early as 4 weeks. Social smiles are a result of external stimuli, like a care givers, voice, touch or face. Like any other normal adult infants begin selecting what they want to smile at by 6 months. They typically smile at familiar faces rather than strangers. It takes a sense of self and morals to develop more complex emotions such as embarrassment and pride, which can be seen as early as 2 years. 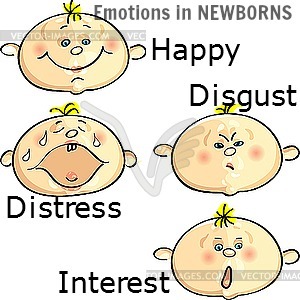 Also infants 2 years of age can fake emotions to manipulate others. As stated in theories of emotion. Infants as young as 6 months can be affected by other people’s moods or their context.